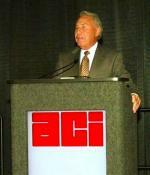 Direct Sportslink's client, ACI, was looking for a dinner keynote speaker with a motivational message and interesting stories about college football. Lee's speech about how he ended up in his position, humorous stories about his college roomate Burt Reynolds, and message about accountability kept the evening very entertaining. A Lee Corso personal appearance, Lee Corso speaking engagement, or Lee Corso endorsement will reflect well on your company. To hire Lee Corso now for any corporate appearance, fundraiser, motivational speaker event, personal appearance, autograph signing, or website endorsement please contact our celebrity agents at 1-877-6-SPORTS. We will contact Lee Corso or contact Lee Corso's agent and provide you with the booking fees and availability immediately upon your request. Direct Sportslink is the only sports speakers bureau and talent booking agency based in the United States securing only sports talent for corporations, associations, and organizations for motivational speaking engagements, personal appearances, and endorsements. We are the premier sports celebrity booking agency and a sports celebrity procurement expert. Accordingly, we will provide you with any relevant Lee Corso website information and booking agent details so that you can hire Lee Corso for your next event. Lee Corso is most famous for his work on ESPN's College GameDay program, where he predicts the outcomes of the day's upcoming college football games. 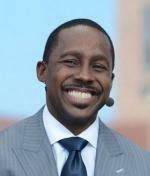 He plays the role of comic foil to co-hosts Chris Fowler and Kirk Herbstreit, as they cover the major college football games from August until January. Corso's catch phrase: "Not so fast, my friend! 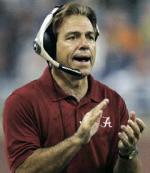 ", usually directed at Kirk Herbstreitt, in disagreement with Herbstreit's predictions. Corso is also known for ending every show with his "Mascot Head Prediction," in which he will choose who he thinks will win the game at Gameday's site that week by donning the headpiece of the school's mascot. Corso was born in Orlando, Florida and attended Florida State University on a football and baseball scholarship, where he roomed with future Hollywood star Burt Reynolds. Upon graduating in 1959 with a degree in physical education, Corso became the quarterbacks coach at the University of Maryland under his former FSU coach Tommy Nugent. In 1969, he was given the head coaching position at the University of Louisville. After taking Louisville to its first-ever bowl game in 1972, he was hired by Indiana University. Corso's record was 41-68-2 over his ten years at Indiana before moving into an analyst position with ESPN. He usually travels from Florida for any appearance or speaking engagement. Based on your interest in Lee Corso as a speaker or for a personal appearance, Direct Sportslink has provided you additional links below for other sports talent with similar appearance fees, speaker topics, and categories that match Lee Corso.